If you’re a creative entrepreneur you’ve probably been hearing a lot of chatter about Pinterest recently, and for good reason. 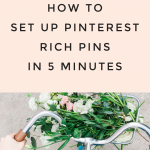 You see, Pinterest is my #1 referrer of traffic to my site, and lucky for you, it’s easy to make Pinterest work for you and your business, no matter what niche you’re in. 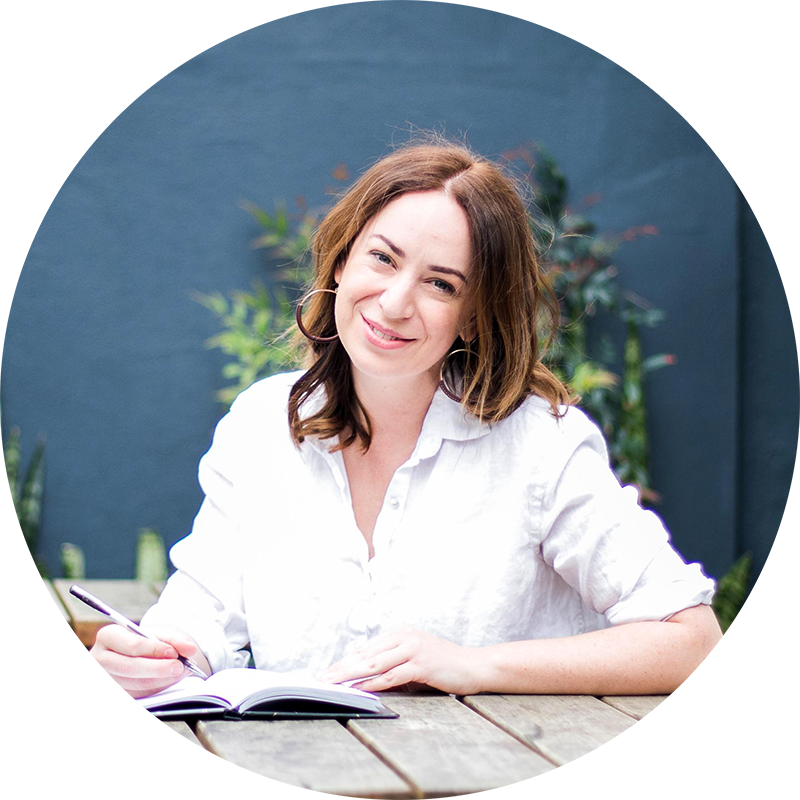 Today I’m going to share with you 5 quick and easy tips for giving your Pinterest profile an overhaul which will lead to gaining more followers, driving more traffic to your site and turning your fellow pinners into subscribers and paying customers. Well, let me ask you this: do you use Pinterest for keeping up with friends, sharing personal photos and keeping tabs on the Kardashians? Or do you use it for searching for recipes, outfit inspiration, birthday party ideas, planning your next vacation and entrepreneur tips? Chances are you use Pinterest for the latter, and just like Google, you can optimise your account to make it search engine-friendly. The first step in optimising your Pinterest account is to rename any boards that don’t have search engine friendly names. Though it’s fun and playful to have boards called “If I had a green thumb” for a gardening board, or “Happily Ever After” for a wedding board, these are simply not terms that your potential customers are typing into the Pinterest search bar. For example, if you are a photographer your boards should have short, sharp, keyword-rich titles that align with what your customers are searching for. For example, board titles may include “Photography Tips”, “Camera Tips”, “Photoshop Shortcuts” or “Photography Tools for Beginners”. If you find renaming your boards a little challenging, think about what you type into the Pinterest search bar when you’re looking for handy hints, tricks and strategy articles. Whatever you choose, use this board to house only your blog’s content– nothing else. Now I want you to drag this board into first position on your Pinterest account so it’s the first thing your customers see when they visit your profile. Remember, our mission is to drive loads of good quality traffic to your site, so we want to encourage readers to start exploring all of your really great content on this board, re-pinning your pins, visiting your site and subscribing to your mailing list. Keeping your brand board in first position, I now want you to re-order your remaining boards so their position reflects to services or products you offer. This helps solidify your brand’s message and positioning. Remember, you want every visitor to your profile to know in an instant who you are and what great knowledge you offer. You’re probably noticing what’s happening here as we roll through these changes– we’re working to build an impossible-to-ignore Pinterest profile that’ll have your customers screaming “OMG this person has the answers I’ve been looking for!”. This next tip can seem a little daunting, but it’s an essential step in positioning yourself as an expert in your field: I want you to go to your profile and remove all boards on your profile that don’t support your niche. You can either delete these boards (I feel like some of you are screaming right now), or if they are boards you want to keep for future reference, simply make them private (edit > make secret > switch to “yes”). Let’s use an example to show why this is so important: if your niche is wardrobe makeovers, you want every board on your profile to reflect this niche. Now if your fabulous wardrobe tips and tricks are mixed in with other off-topic boards such as arts and crafts, children’s birthday party ideas or vegan recipes, your potential customers won’t have a clear snapshot of who you are, and therefore will be far less likely to hit the follow button. The first step in building a connection with your audience is to tell them in no uncertain words 1) who you are, and 2) what value you’re going to add to their lives. So next I want you to add keywords to your profile name. Remember how I said that Pinterest acts like a search engine? Well another way to optimise your profile is to add some industry-relevant keywords to your profile name, which will help our account appear in relevant searches. My Pinterest account name for my other biz is Tell Me Tuesday, however my profile name is Tell Me Tuesday | DIY, Food, Travel & Lifestyle Blogger. Check out Amber McNaught whose account name is Amber McNaught: fashion, beauty and blogging advice. Important: in order to do this, you’ll need to have a Pinterest business account. Don’t have one? No stress, it’s easy (the folks at Pinterest show you how here). Their target audience is small business owners, creative entrepreneurs & bloggers (Part 1), they help these people grow a biz that fuels their soul and their pocketbook (Part 2) and their web link goes to a page on their website where you can start a free course and download free printables (Part 3). If you don’t know how to create a custom url like the TCC ladies or XO Sarah you can just use a link shortener such as bitly.com. The final step in building your winning bio is to set a nice, friendly, clear photo of yourself as your profile image. By showing your lovely smiling face you build trust with your audience. In the case that your Pinterest profile is for a company, make sure your brand’s logo fits seamlessly into the space available. Remember, good design builds trust so that means no stretched logos, no text hanging over the edges, and absolutely no pixilated images. Phew! That’s a wrap folks! 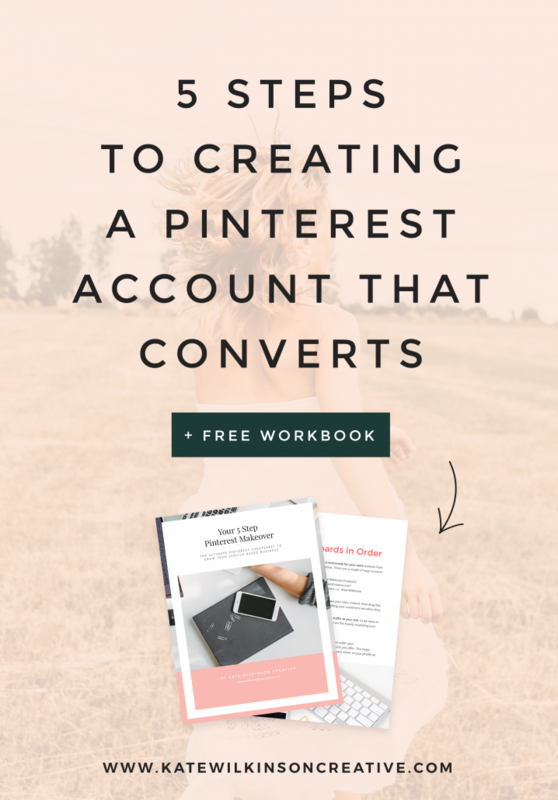 You’re now well on your way to growing your Pinterest account with intention and proven strategy. Feels pretty great, don’t it? Do you use Pinterest for your blog and biz? Have you got any other tips to share? I’d love to know in the comments below! That was so helpful !! Thank you !! I have to run, but I want to save this and read it later….I can’t find any pin buttons so I can pin it to my “need to read this” board!?!?! Hey there Wendy! My social share buttons are all configured so pin away! Thanks for stopping by.